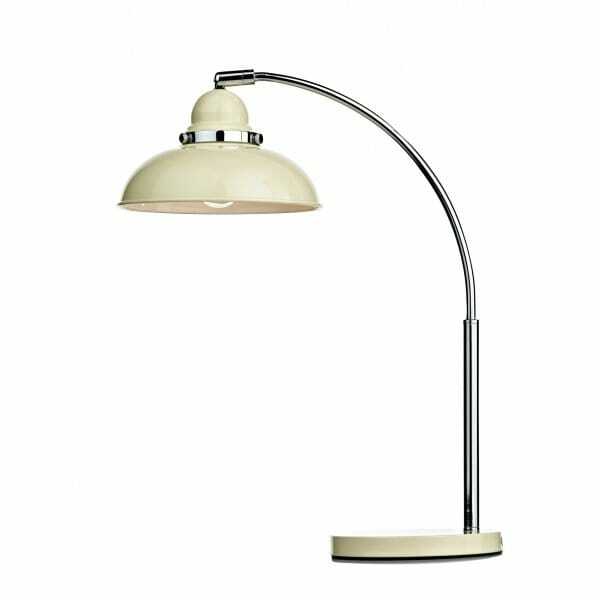 A super little retro style table lamp in a pale gloss cream finish that is both functional and attractive. The Dynamo lamp makes a great desk light, study lamp or reading lamp and is double insulated so it can be used where there is not an adequate earth cable. The lamp sits on a circular cream gloss base and has a curved chrome arm that supports the metal shade. The shade has a neutral cream coloured gloss finish with chrome detailing around the top of the shade. Can accommodate a standard or low energy bulb and has an in-line on/off rocker switch located on the flex cable for ease of use.